Post-Dive fatigue, malaise, lethargy, sleepiness and decreased vitality is an often-observed consequence of scuba diving. Many divers can relate with this; having felt sluggish and in dire need of a snooze during surface intervals or after diving. Is it really normal and expected? Is it decompression stress? Is it significant of a hyperbaric physiological impact on our body? Is it harmful to our health and well-being? 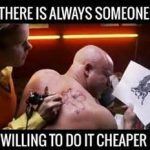 Can it be avoided? 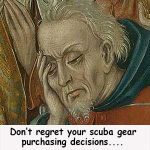 Currently taught recreational diving practices may not offer sufficient minimization of decompression stress, especially when repetitive and multi-day shallow diving occurs. 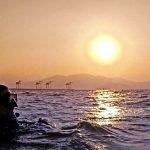 There are medical/scientific studies potentially indicating that decompression stress resulting from increased microbubble quantity can be a significant factor in the development of subclinical decompression sickness (DCS). This occurs through the activation of the body’s immune system response. This subclinical DCS results from complex changes in blood/brain chemistry and might manifest as unusual post-dive fatigue or reduced vitality in divers. There is an increasing concern that long-term health consequences may occur due to repeated occurrence of decompression stress. 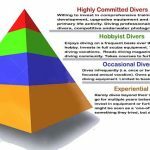 Over thousands of dives and several decades of diving, I have noticed a vivid change in my expectations of post-dive fatigue. As a novice diver, I used to feel it was normal to be sleepy and listless after diving. I dismissed it as a result of being colder, being in the water, too much fresh air, more exertion than normal. But it wasn’t. There was an element of denial in those explanations. 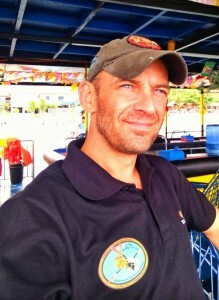 Working as a recreational diving instructor in Thailand; I invariably slept on the dive boat between dives and fell asleep on the couch for an hour or two when I got home from diving. The urge to sleep was irresistible. For the first time in my life, I started suffering severe, systemic allergic reactions but found no cause. I was physically fit, well rested, well fed; and very acclimatized to the level of activity, diving routine and water conditions. Diving was a daily routine. The dives were not technically challenging, they were entry-level training, but they involved multiple ascents, controlled emergency swimming ascent (CESA) practice and shepherding students yet to master their buoyancy control. It was hard work, but no certainly less challenging than the constant physical exertion I had become adapted to when I previously served in the military. It became increasingly implausible to deny that my post-dive fatigue was unnatural. 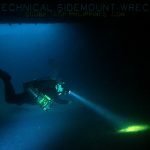 Over the last decade, my diving became primarily technical in nature. 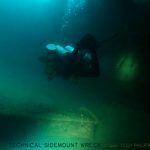 I work as a technical diving instructor, routinely completing deep decompression dives. It quickly became apparent to me that, even though I was conducting dives with a much higher degree of saturation, my post-dive vitality had returned to a high level. I dove several mixed-gas decompression dives a day but still felt invigorated and energetic afterwards. 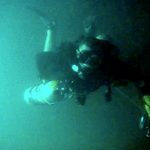 My technical dives were longer, colder and much more physically demanding than my prior recreational teaching dives, but I no longer suffered fatigue as a result. I experimented with different decompression algorithms, ascent profiles and gradient factors; learning to pay close attention to my level of post-dive energy, wakefulness and sense of well-being. Through this self-assessment, in conjunction with undertaking a range of decompression strategies, I could determine and optimize the effectiveness of my off-gassing and microbubble management. 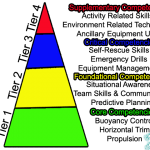 I had become educated about subclinical DCS and the term ‘decompression stress’. 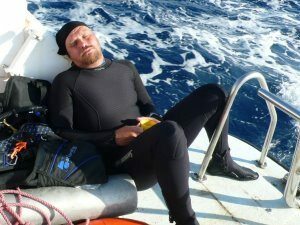 It was now impossible for me to accept post-dive fatigue as a normal, natural or unavoidable consequence of diving. In this article, I intend to examine the link between diving behaviour, subclinical DCS/decompression stress, the immune system response and inappropriate post-dive fatigue. I will highlight current research pointing towards the potential issue of decompression stress leading to brain injury. DCS Type 2: Cardiovascular/Pulmonary and Neurological. Severe pain, organ failure, decreasing levels of consciousness, cognitive ability, communication, mobility, dexterity, sensation and bodily control (including; breathing, bladder and bowel control). DCS Type 3: Vestibular. Inner-Ear bubble, generally due to Isobaric Counter-Diffusion when using Trimix for dives below 100m depth; presenting as severe vertigo, nausea and localized ear/head pain. DCS Type 4: Osteopathic. Dysbaric Osteo-Necrosis (DON); a long-term condition where frequent and repeated exposure to hyperbaric conditions (increased pressure) and variation (pressure changes) causes necrosis (death/brittleness) of the skeletal bones. Beyond osteopathic symptoms, there is an increasing medical discussion on other long-term subclinical DCS / decompression stress issues that can affect the brain (lesions), central nervous system and other organs; such as the eyes. Whilst these effects have been noted in studies, they are not yet proven. However, they may be added to the list in the future and I anticipate that we might see further classifications of DCS in the following years as further research is conducted. We can see that the severity and type of DCS diagnosed is related to the frequency (quantity), location and, most importantly, size of the bubbles that occur in the body. However, DCS is only diagnosed if it conforms with the symptoms known for the types listed above; and if it reaches a level of severity that provokes the victim to seek medical attention. DCS is not an all-or-nothing ailment. It is a scale of severity. On that scale, there is a point below which the victim is not at risk of immediate physical harm. The symptoms may be too subtle for diagnosis and/or there is no proven need for treatment. relating to or denoting a disease which is not severe enough to present definite or readily observable symptoms. Of a disease or injury, without signs and symptoms that are detectable by physical examination or laboratory test; not clinically manifest. 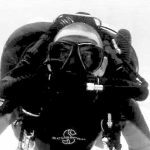 Bubbles occur in our bodies on the ascent from most scuba dives, but those bubbles have to reach a sufficient size before they cause enough immediate harm to present symptoms that allow a diagnosis and treatment of DCS. Bubbles of insufficient size to cause clinically identifiable decompression sickness symptoms are named ‘micro-bubbles’. These bubbles may remain subclinically small in size but may occur in large numbers. They may also, in sufficiently large numbers, still have a noticeable (if not immediately harmful) impact upon us. It has been proposed that post-dive unnatural fatigue, malaise, reduced vitality and drowsiness are symptoms of the increased frequency of non-symptomatic micro-bubbles. This is called “subclinical”, ‘non-symptomatic’ or “mild” DCS. Historically, it has been considered harmless. 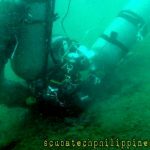 “Doppler monitoring has revealed the presence of gas phase bubbles in divers ascending even from relatively shallow dives. We have also all experienced symptoms such as headache and fatigue in the immediate post-dive phase which we have put down to overexertion on exiting the water etc. In more recent years, we have been told that these symptoms are those of subclinical DCI and we have lived with these, perhaps naively, thinking that because they are not associated with overt symptoms of DCI, they are not causing any damage and are nothing to worry about. However, enter the iceberg principle. Nine tenths of the damage may be invisible and cumulative”. It is well proven in multiple doppler ultrasound studies that virtually all divers develop small bubbles in their body during ascent. A quantity of these bubbles will persist during the surface decompression phase; determined by the effectiveness of in-water decompression. However, these micro-bubbles (also known as silent bubbles) are insufficiently large to cause us significant, immediate physical harm. The frequency (number) of those bubbles is determined by the effectiveness of off-gassing nitrogen on the ascent. Poor off-gassing leads to ‘decompression stress’ and is represented by a larger frequency of micro-bubbles in the body. Some modern decompression models, known as ‘bubble-models’, also include calculations that reduce the number of those micro-bubbles by off-gassing vulnerable fast tissues at deeper depths; as an additional precaution against DCS. The general principle being that if the quantity of micro-bubbles (also known as bubble ‘seeds’) is reduced early in the decompression phase, there is less potential for anything to grow into DCS symptomatic bubbles at a later stage. Nonetheless, all modern decompression models are concerned with preventing bubbles growing to a harmful size, but not concerned about limiting the frequency of smaller bubbles for the sake of their impact on post-dive vitality and long-term health. 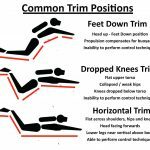 Decompression calculations are always a trade-off between safety and time. Until diving medicine can prove any long-term health implications of decompression stress, that is likely to continue. 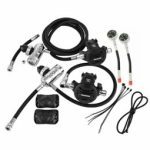 Factors known to influence off-gassing efficiency and micro-bubble elimination include; ascent speed, ascent stops, dive profile, repetitive dives, bounce dives and ascent gas selection. The ascent speed dictates the relationship between tissue super-saturation and the rate at which nitrogen can be eliminated by the body. Excessive speed causes nitrogen to form bubbles which can grow to a DCS symptomatic size. Insufficient speed limits off-gassing efficiency by lowering the pressure gradient between saturated nitrogen and the surrounding atmosphere (the difference between the partial pressure of nitrogen absorbed within the body and that within the gas we are breathing). For more details on ascent speed and micro-bubble formation, read; ‘Best Ascent Speed For Scuba Diving‘. “Dives with safety stops showed significantly fewer venous gas emboli. Other factors, such as, depth and bottom time influenced the efficiency of safety stops. Overall, safety stops are capable of significantly reducing venous gas emboli detected by Doppler in the blood of human divers”. Uguccioni’s study proved not only that a safety stop was beneficial to reducing frequency of micro-bubbles, but also that multiple stops at 9, 6 and 3m depth were more beneficial than a single stop at 5m. This was further supported by a further DAN study; “What Ascent Profile For the Prevention of Decompression Sickness“. The profile of individual dives or repetitive or multi-day diving routines is an important factor in determining bubble formation. Saw-tooth dive profiles create more bubbles with each rise in depth. This cumulative effect leads to a much higher bubble score by the time the final ascent is completed. A similar situation occurs over a longer time period when divers complete intensive repetitive diving (3+ dives per day) and extended periods of multi-day diving. 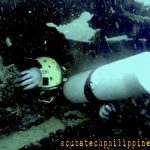 This is common behaviour on diving focused vacations or for novice divers with weak buoyancy control who struggle to maintain consistent depth on shallow dives. “…one reason why sawtooth profiles are bad, because the bubbles formed on each ascent phase are not crushed again but accumulate, such that the final ascent and decompression phase is started with a pre-existing bubble load leading to a provocative situation. Since it is now recognized that the lifetime of a bubble can be measured in days, this has implications for repetitive and multi-day diving, in particular”. Utilizing an appropriate ascent gas breathing mix reduces tissue tension across the surface of micro-bubbles, helping to maintain a negative pressure gradient that promotes effective off-gassing and bubble elimination. The higher the percentage oxygen, the more efficient pressure gradient to shrink bubbles and remove nitrogen from the body. 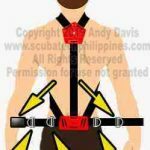 Adhering to a proper ascent speed, multiple shallow safety stops and ideal ascent gasses are not taught within the curriculum of many recreational diving agencies. In short, currently taught recreational diving practices may not offer sufficient minimization of decompression stress, especially when repetitive and multi-day shallow diving occurs. Nitrox or Enriched Air Nitrox (EANx) are scuba diving gas mixtures that contain a higher than normal (>21%) content of oxygen. These mixtures consequently contain a proportionally smaller amount of nitrogen (depth + time), than if they breathed regular air. The additional, but often not educated, benefit of nitrox is that the reduced partial pressure of nitrogen, coupled with an increased partial pressure of oxygen, serves to increase the gas differential between tissues, lungs and ambient pressure. This increased gas differential accelerates the rate of nitrogen release from our bodies on the ascent, compared to air, without allowing bubbles to grow. Simply put, we off-gas more efficiently as nitrogen partial pressure decreases. 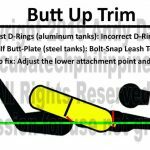 This is the principle that leads technical divers to switch gas to higher % oxygen deco mixes as they ascend from deep dives. 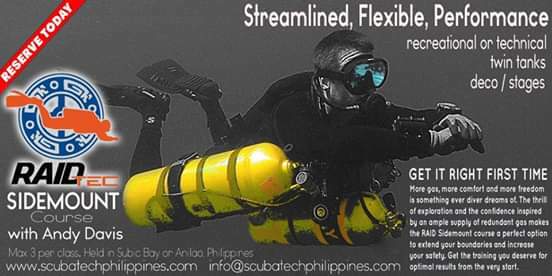 The practice is known as ‘accelerated decompression’; it serves to reduce the divers’ overall ascent time through maximizing the efficiency of off-gassing. There has been fervent discussion amongst the diving community for decades on whether the use of nitrox reduces diving fatigue and/or promotes a feeling of post-dive wellness and vitality. There are a great many divers who claim to feel noticeably better after diving if they use nitrox rather than air. 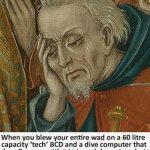 The number of these anecdotal accounts might give plausibility to a theory that nitrox reduced post-dive fatigue were it not for scientific testing which proved no such direct link exists. The anecdotal belief that nitrox, through some inherent property of the increased oxygen partial pressure in the body, reduced post-dive fatigue prompted several scientific studies. These studies sought to determine whether any property of nitrox (for example, increased oxygenation of body tissues and/or brain) had a direct effect on the individual to reduce fatigue after diving. The overall conclusion was that it did not. Measurement of fatigue following 18 msw dry chamber dives breathing air or enriched air nitrox.Harris RJ, Doolette DJ, Wilkinson DC, Williams DJ (2003). 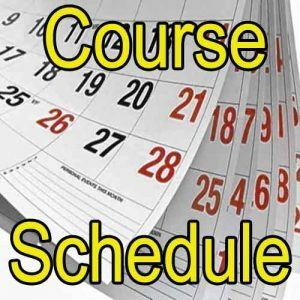 Undersea and Hyperbaric Medicine (Undersea and Hyperbaric Medical Society) 30 (4): 285–91. Measurement of Fatigue following 18 msw Open Water Dives Breathing Air or EAN36. Chapman SD, Plato PA. In: Brueggeman P, Pollock NW, eds. Diving for Science 2008. Proceedings of the American Academy of Underwater Sciences 27th Symposium. 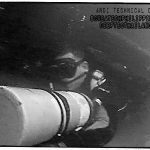 However, these studies did not utilize dive parameters likely to bring about decompression stress. If there was no decompression stress, then nitrox had no impact upon reducing fatigue that may result from it. To support that hypothesis, the study findings did note that in tests using nitrox, participants felt more healthy; which possibly indicated that lower decompression stress was present. So, whilst there is no property inherently within nitrox or oxygen that directly reduces fatigue, it does promote more efficient off-gassing and reduce decompression stress on the ascent. It reduces the number and size of micro-bubbles in the body after a dive. 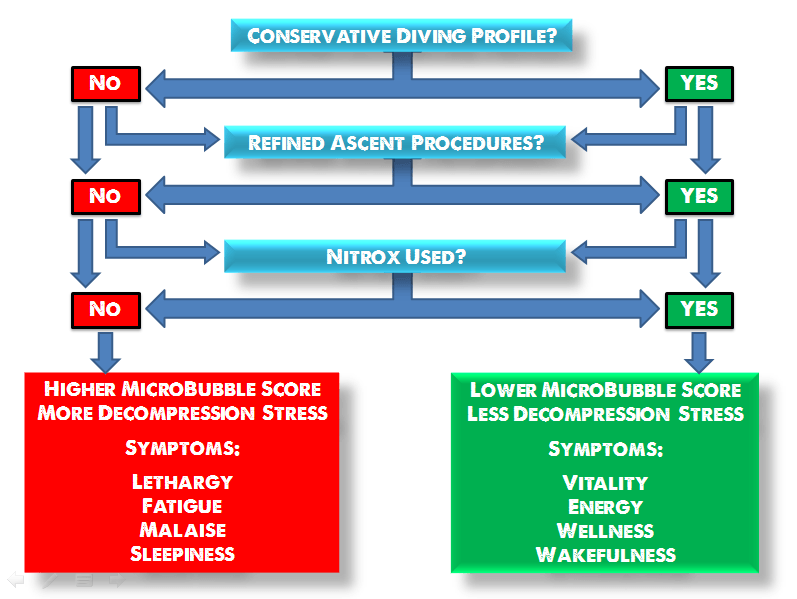 Where previous studies have examined the effect of nitrox on post-dive fatigue, their testing was conducted using identical dive profiles; which caused little or no decompression stress, with and without nitrox, Thus, no impact of post-dive fatigue was noted. If a comparison study was conducted on a range of dives calculated to exert low, medium and high levels of decompression stress, then we might predict that nitrox would have a more identifiable impact on results indicating varying levels of wellness, energy and vitality. It is known that bubbles within the body trigger an immune system ‘foreign body’ response. For this reason, immune-suppressant and anti-inflammatory drugs are often administered during hyperbaric treatment for DCS. “Long thought to be a simple process of blockage of vessels and infarction, it has now been shown that there is a tripping of the complement system and the immune system (T- and B- leucocytes) when bubbles form from decompression. This immune response has a domino effect on blood chemistry that leads to marked changes in the tissues long after the bubbles are gone […] This same process might be the explanation of the excessive fatigue that many divers describe after diving – the fatigue actually being the complement activation damage that is know to occur distant from local bubble sites and the hemoconcentration that occurs.”. 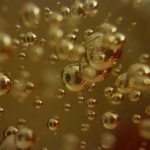 “As the bubbles course through our body, an inflammatory signal is activated, and the nitrogen bubbles are easily trapped in the pathways through which they travel. The result is that blood flow is blocked–potentially harming vital organs such as the spinal cord and the brain. One possibility of decompression sickness risk reduction, as explored by the NMRC, involves blocking the immune system’s inflammatory response to intravascular bubbles with the use of anti-inflammatory drugs. 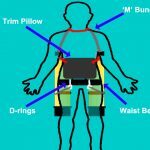 This technique is regarded as one of the safest and most effective ways of avoiding decompression sickness”. When bubbles occur in the body they will attract blood proteins (complement system activation), as those proteins contact with bubbles, they change in molecular shape and solubility (denaturation). The denatured protein is recognized by the body and the body diverts white blood cells to ‘attack’ the bubble, whilst also releasing histamines to dilate blood vessels in the area (local inflammation) to aid the travel of the white blood cells to where they are needed. The release of histamine also causes the surrounding blood vessel lining to become sticky so that white blood cells surrounding the bubble will ‘stick’ in place and trap the bubble. This process is known as margination. The process of margination also causes cells in the blood vessel wall (endothelium cells) to separate and allow fluids, white blood cells and the bubble/s (if not too large) to leave the bloodstream enter the surrounding tissues. This not only thickens the blood (hemoconcentration), but a sufficient loss of fluid from the bloodstream into the tissues can cause shock. The separation of endothelium cells causes an additional reaction in the body; as it triggers a release of platelets into the area. These platelets combine with collagen to form a clot in the tissue around the bubble. Platelets also release serotonin that counters the effect of histamine and constricts blood flow to the area. When the bubble is sufficiently large, this process is intense and noticeable locally in the body; becoming symptoms of DCS. Numerous occurrence of smaller bubbles will not have a local, obviously symptomatic, effect; but may have a lower grade systemic impact. Whilst the immune system ‘ foreign body’ response can be effective in dealing with many maladies, it is profoundly counter-effective in dealing with bubbles. 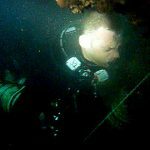 “Decompression sickness affecting the nervous system is still a serious problem in diving, but the mechanisms involved are in dispute. Although microbubbles can be detected in the pulmonary artery on decompression using ultrasound, mammalian lungs are competent filters for microbubbles larger than 20 microns in diameter. It has been assumed that smaller bubbles released by the lungs are harmless, because there is evidence that they do not arrest in the cerebral circulation. […] experiments demonstrate that microbubbles impair the blood-brain barrier integrity to protein, causing focal edema”. Microbubble Damage to the Blood-Brain Barrier: Relevance to Decompression Sickness. Hills BA, James PB. Undersea Biomed Res. 1991 Mar;18(2):111-6. “…the loss of plasma from capillaries may significantly increase hemoconcentration and shock following DCS. This, in a less serious form, is probably the cause of “inappropriate fatigue,” a symptom of DCS”. “Bubbles are often found in tissues during gas-forming infections and in infection-prone states. In these diseases, intravascular gas offers a signal of infection to immune cells. Platelet activation by gas may often accompany a beneficial immune response to pathogens. Pathologic bubble-platelet interaction in decompression illness may be an example of gene-environment mismatch. […] The spectrum of DCI symptomatology extends from simple malaise to full cardiovascular collapse. Central nervous system (CNS) injury may be subtle or blatant and peripheral nerves may be involved. DCI may also present as a variant of the systemic inflammatory response syndrome”. Gene-environment mismatch in decompression sickness and air embolism. Alcock J, Brainard AH. Med Hypotheses. 2010 Aug;75(2):199-203. doi: 10.1016/j.mehy.2010.02.022. Epub 2010 Mar 19. If the bubbles are small in size, this immune system ‘foreign body’ response may remain symptomatically unnoticeable to the victim. But if the occurrence of micro-bubbles is, nonetheless, high in frequency, then there may be widespread low-intensity immune-reaction throughout the body. A subclinical reaction, but a reaction that does have a significant impact on the individual’s well-being. That impact may present as a general fatigue, weariness, sleepiness, listlessness, reduced vitality, decreased energy, somnolence; or just a sense of being under-par physically or mentally. Central Nervous System Fatigue (also known as “Central Fatigue”) is a neurochemical fatigue triggered by changes in the function of the central nervous system, not explained by dysfunction of the muscle. It is typically brought about by endurance exercise which may cause consequent neurochemical changes in the brain; primarily the increased release of serotonin (5HT). Whilst there are no current scientific tests to prove a direct causal link between the neurochemical changes and fatigue, existing methods have provided enough evidence to suggest that serotonin and dopamine are significant drivers of central nervous system fatigue. Central fatigue: the serotonin hypothesis and beyond” Meeusen R1, Watson P, Hasegawa H, Roelands B, Piacentini MF. Sports Med. 2006;36(10):881-909. We have seen that serotonin can be induced as a vasodilator during the immune system reaction to bubble occurrence in the body, so much so that anti-inflammatory drugs are now the norm in treating DCS. However, serotonin’s primary role in the body is to act as a neurotransmitter in the central nervous system. Within the central nervous system, it regulates arousal, behaviour, sleep, and mood. In sports science, is known as the central nervous system’s means of transmitting the symptoms of fatigue; which alerts athletes as to when physiological conditions are not tolerable. Thus, it provokes a need to rest and/or refuel during prolonged exercise. It seems possible to hypothesise that the existence of decompression stress through the micro-bubble formation in the body may also induce this neurochemical demand, which could present as short-term CNS fatigue. Possible mechanisms of central nervous system fatigue during exercise. Davis JM1, Bailey SP. Med Sci Sports Exerc. 1997 Jan;29(1):45-57. We have seen that decompression stress, and certainly decompression sickness, have an impact on the immune system. There is also an increasing concern that microbubbles can cause damage to the brain; in particular ischemic lesions and focal oedema. Rethinking the Hit. Zaferes A. Immersed, Spring 1997 (citing ‘Microbubble Damage to the Blood-Brain Barrier: Relevance to Decompression Sickness‘. Hills B.A., James P.B. Undersea Bio – medical Research. 1991, 18, 2:111-116). Then, in 2013, Martin Juenemann and his team demonstrated that bubble size may not determine the severity of brain damage. In failing to prove that larger bubbles caused larger infarctions, they actually may have shown that smaller bubbles can cause equal, if not more, damage in sufficient numbers. Large bubbles are theorized to split into multiple small bubbles as they pass through the brain’s vascular system. They may also be constricted by smaller blood vessels. Smaller bubbles can pass more readily into the brain and, in number, present a higher surface area, thus increasing the interface between gas, liquid and the interior surface of blood/lymphatic vessels (endothelium). The degree of this interface is known to be a significant factor of cerebral air microembolization mediated tissue damage, as it what activates the inflammatory response, the complement and clotting systems. It is not yet known what quantity of cerebral air microembolization (microbubbles), along with other factors, are necessary to cause significant problems. However, it is proven that microbubbles can lead to “persistent focal neurological and neuropsychological deficits, often without the display of manifest cerebral infarction on MRI”. Activation of the immune system response by microbubbles is to blame. “Pathophysiological background, thresholds for emboli load, and other determinants of clinical outcome after embolization are largely unknown. Mechanisms of CAM-induced tissue damage exceed mere mechanical consequences such as compression against the endothelial capillary wall and obstruction of blood flow by a lodging bubble: Constituting a foreign substance, air bubbles provoke clotting activation, inflammatory response with neutrophil aggregation and complement activation] with the production of radical species leading, amongst others, to an increased vascular permeability and triggering a complex immunological and ischemic cascade of tissue injury. These pathomechanisms are initiated on the surface of the bubble with the gas–liquid-endothelium interface as a driving force”. Further research on microbubbles and cerebral arterial gas embolism will undoubtedly make the situation clearer. The link between the quantity of microbubbles and severity of damage, or the long-term effects of repetitive low-scale damage remain to be identified. However, this research is likely to shape dive planning strategies dramatically; as it adds much more emphasis to the need for timely microbubble elimination and a reduction in acceptable decompression stress. As mentioned earlier, it could form the basis of a new ‘Type 5’ DCS classification. Suffering unusual fatigue after a dive is neither natural nor normal. It can be indicative of decompression stress which may result in harmful effects on your blood/brain chemistry. Remember that the long-term medical implications of repetitive exposure to decompression stress are not yet known, but studies are beginning to identify potential issues stemming from microbubbles activating the complement and immune systems. From my (very limited) medical understanding, the frequency (quantity) of bubbles would have a much more direct impact on an immune-system response. Therefore, sub-clinical DCS doesn’t present the size of bubbles needed to provoke the symptoms (pain, rash etc) that justify chamber rides; but the quantity of (micro) bubbles can still bring about harmful changes in blood/brain chemistry. 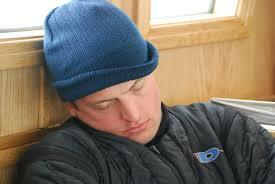 The symptoms of these changes might be unusual post-dive fatigue, lethargy, sleepiness and decreased vitality. 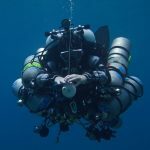 Preventing the formation of microbubbles, or resolving them at the earliest possible opportunity, may have significant health impacts for divers. Nitrox is one of several important factors that can help reduce decompression stress and the complement/immune system activation that causes unusual fatigue. Apply additional conservatism settings on your personal dive computer or planning software. Refine safety stop procedures: 1 min at 9m/30ft, 2 min at 6m/20ft, 3 min at 3m/10ft. Accurately apply optimal ascent rates: 9m/20ft per min until the 1st stop, 3m/10ft per min thereafter. 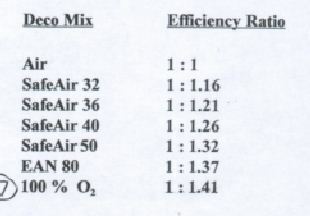 Utilize an appropriate EANx mix as your bottom gas. Take heed of your post-dive vitality and adjust your diving practices accordingly. deemed correct. However, it is a personal interpretation and as such, may not wholly represent the opinions of everyone involved in this complex area of research.